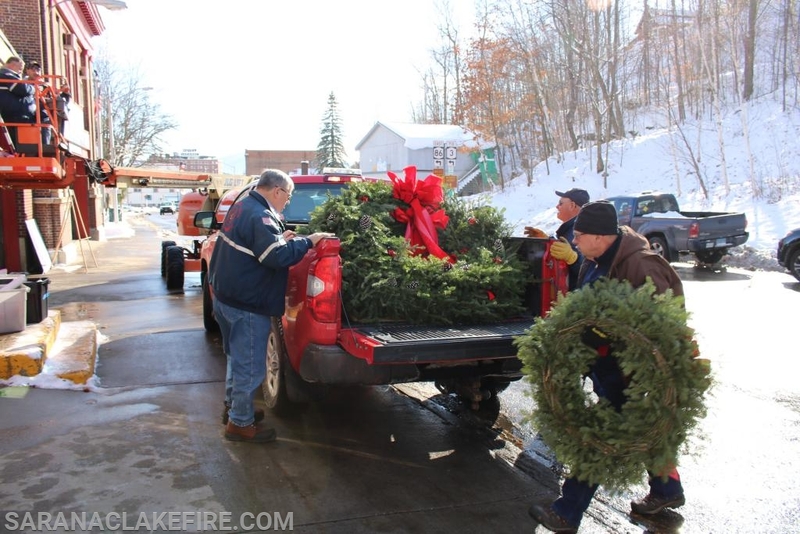 The generosity in our little town is quite moving. 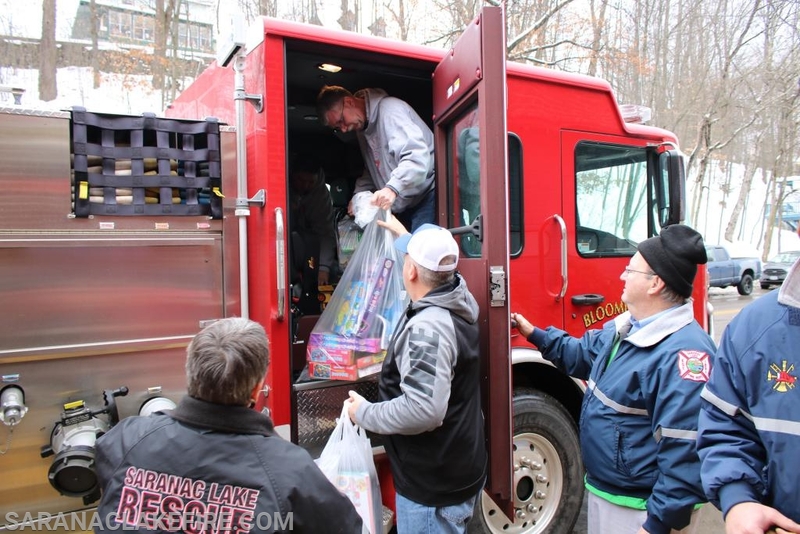 The Holiday Helpers organization collects presents for area children who may not otherwise have presents for Christmas. 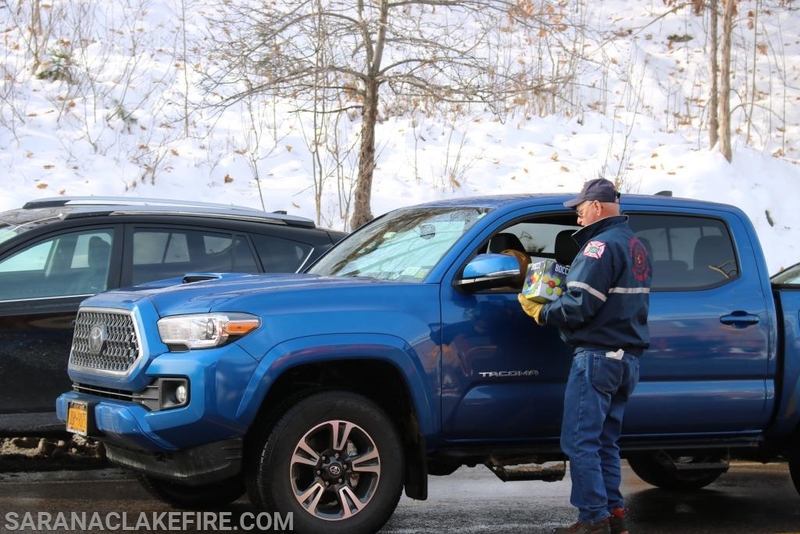 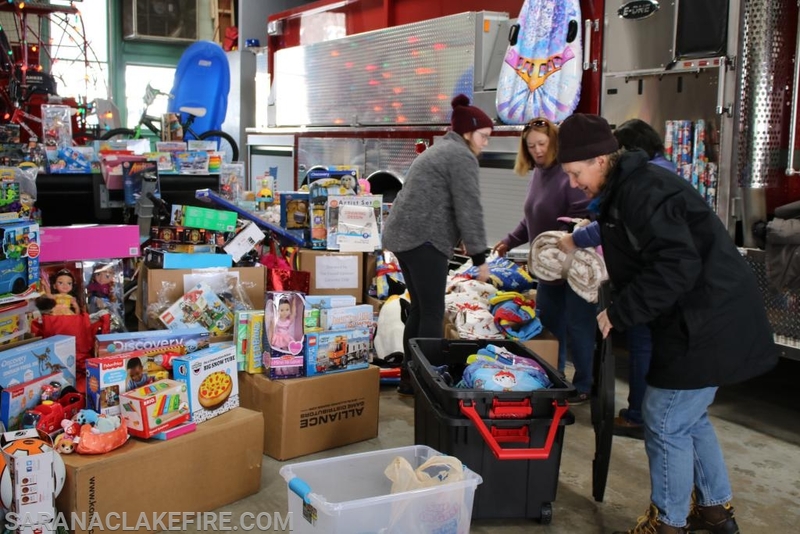 It has been doing so for many years and for the past several years the SLVFD has hosted a drop off event/toy drive in support of this great cause. 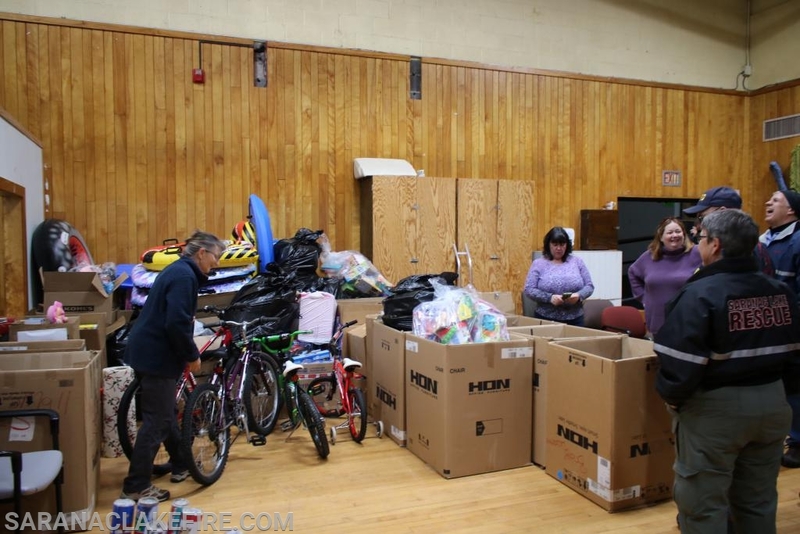 The event keeps getting bigger, we are amazed at what a small community can do. 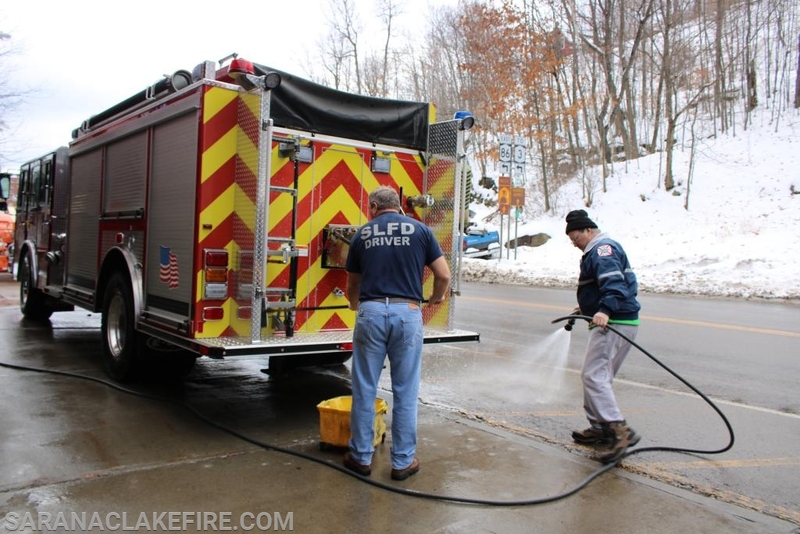 The photos that follow are our attempt to chronicle the day. 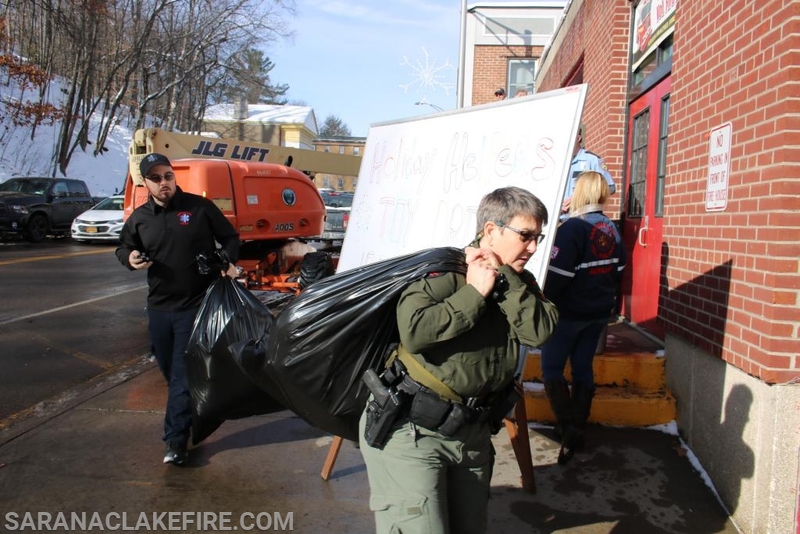 So many people contribute that it would be impossible to name them all, but we are truly grateful for the generosity shown by the town that we so love and support. 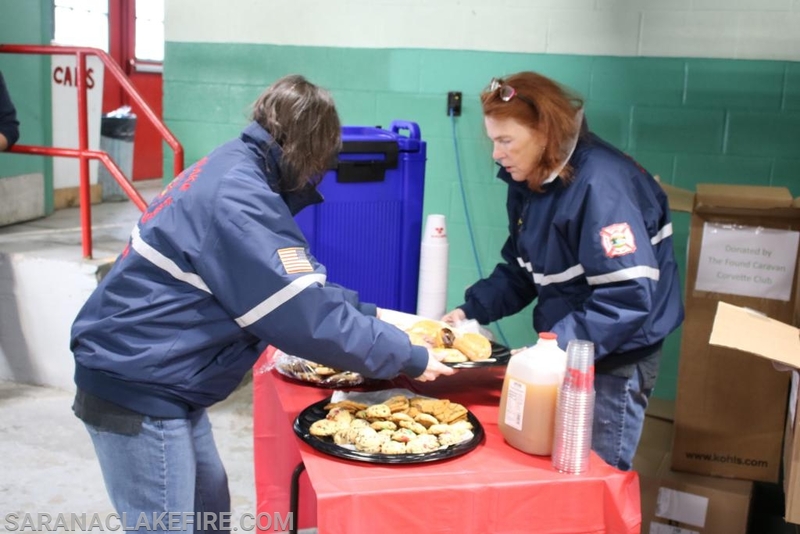 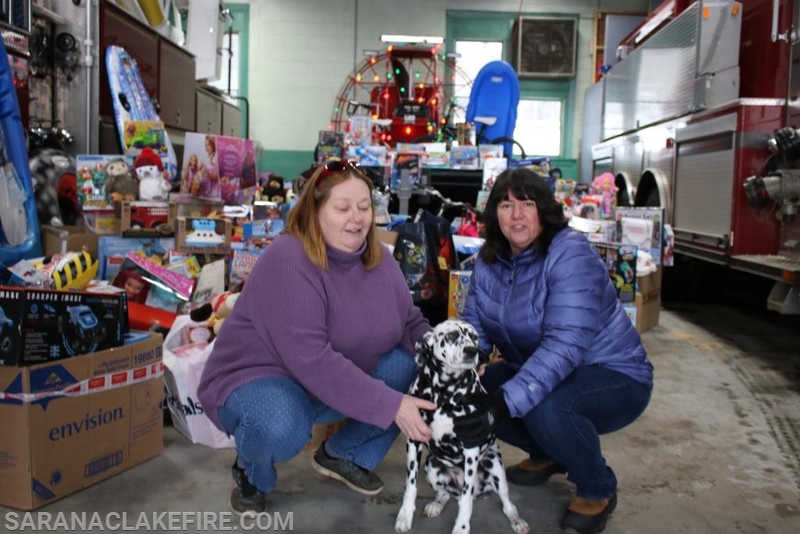 Patti Ploof and Dawn Rogers Co-Chair the Holiday Helpers, they were both on hand at the station for the entire day, Patti said "We are incredibly grateful to the SLVFD for continuing this annual toy drive, involving both groups and individuals from the community. 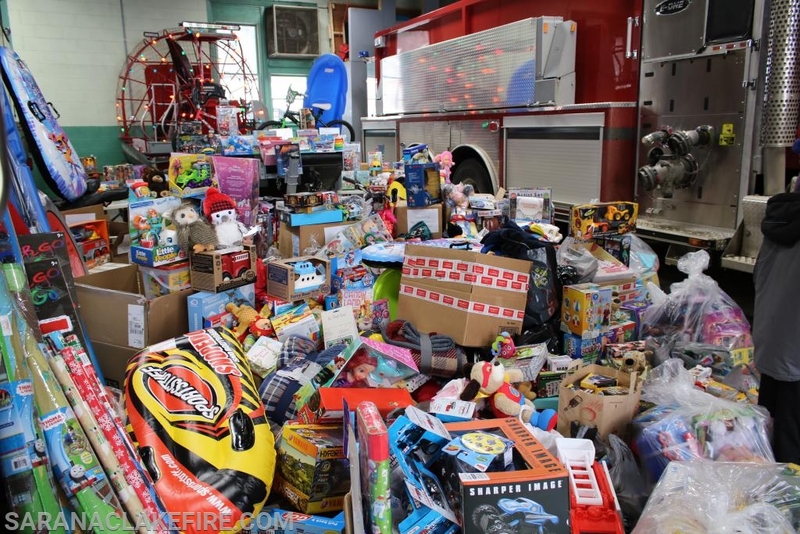 This year we are able to provide a wonderful Christmas to 85 families with approximately 180 children. 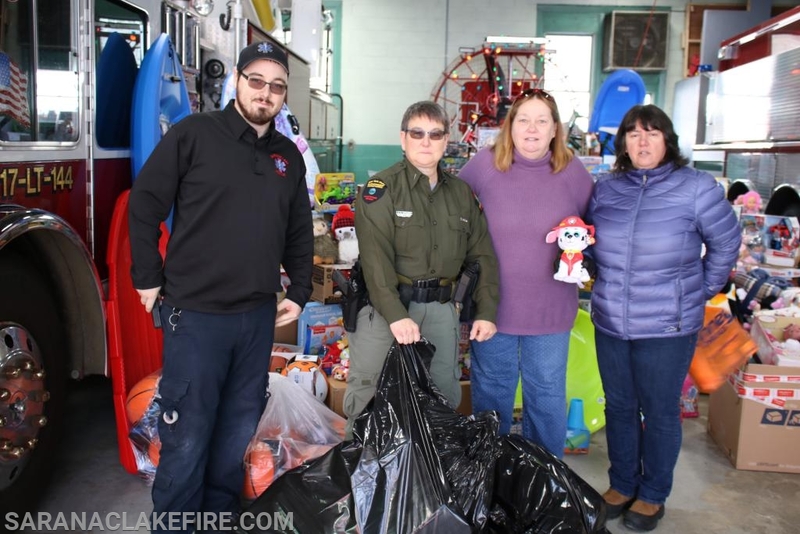 We could not do this without the generosity of our community"
Before the doors were even officially open for the toy drive, multiple vehicles from the "Found Caravan Corvette Club" arrived and delivered boxes and boxes of presents. 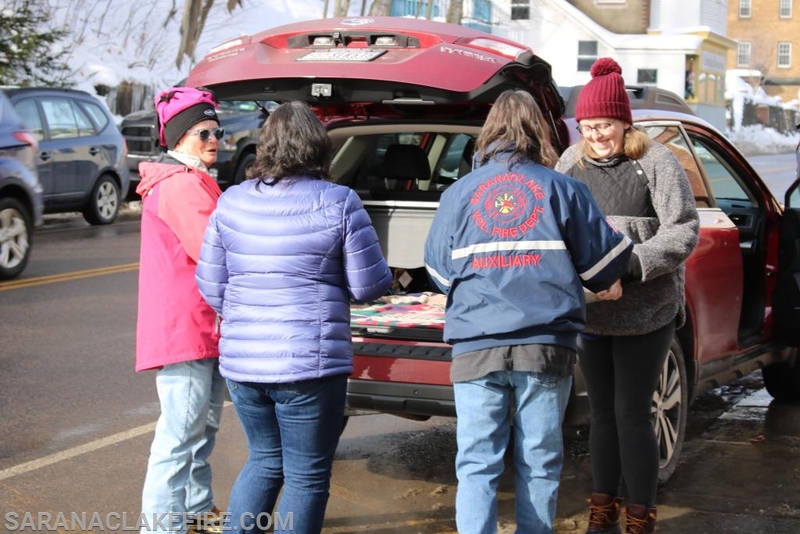 As the day progressed many individual families and groups contributed, it would be overwhelming to try to list them all but of special note the Harrison and Mose families who have donated large items for multiple years in a row. 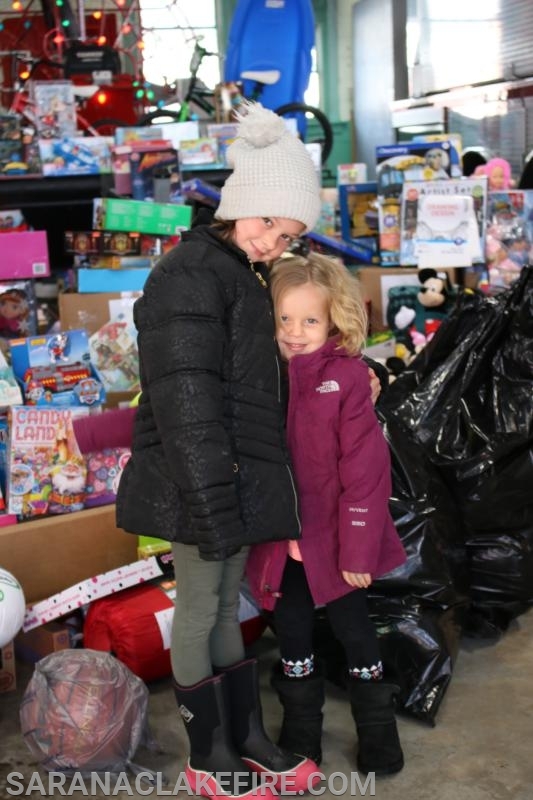 There were also two little girls who spent their entire allowance to donate two toys. 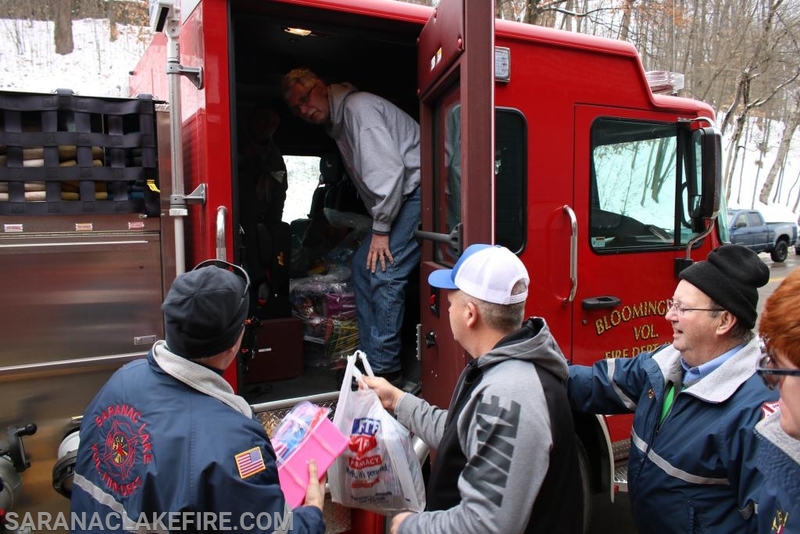 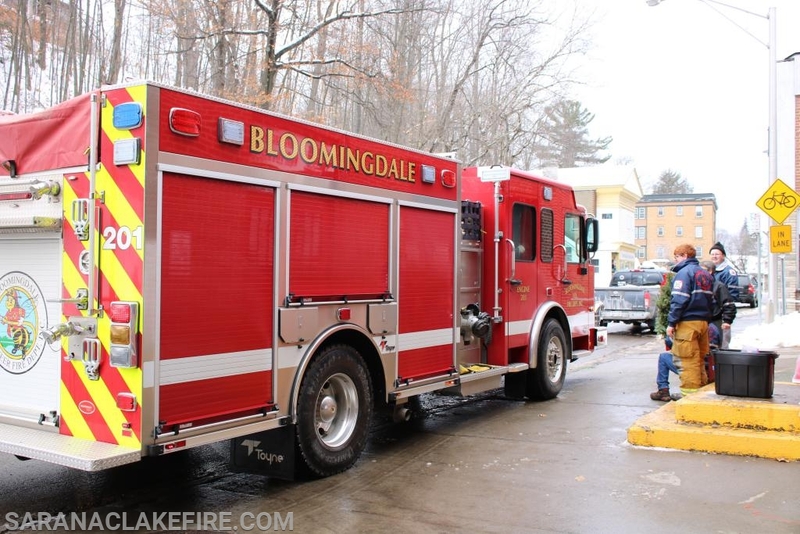 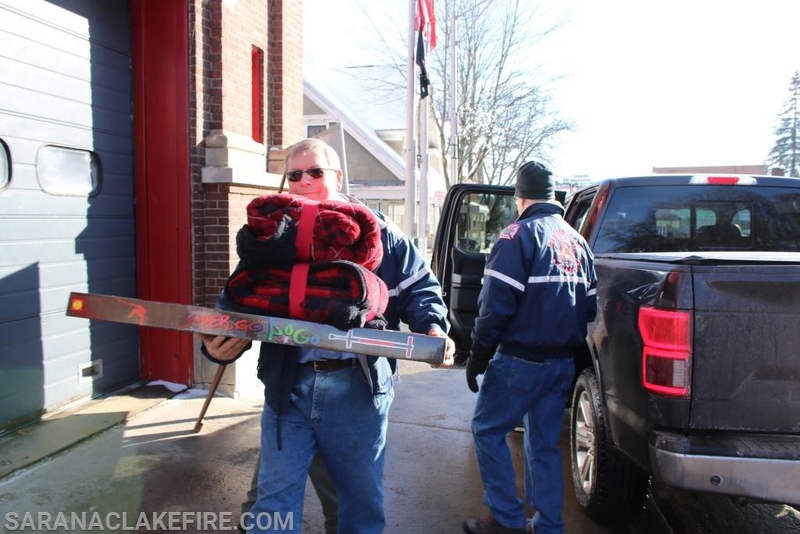 This year the Bloomingdale Fire Department held a toy drive at their station they loaded up their engine with over 90 presents and made a lights and siren arrival at our station to deliver the presents. 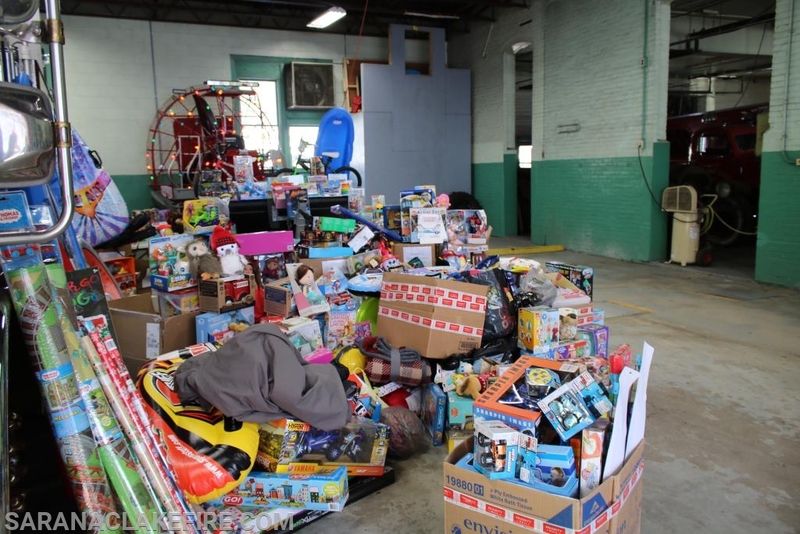 Paul Smiths-Gabriels also made a nice annual cash contribution to the effort. 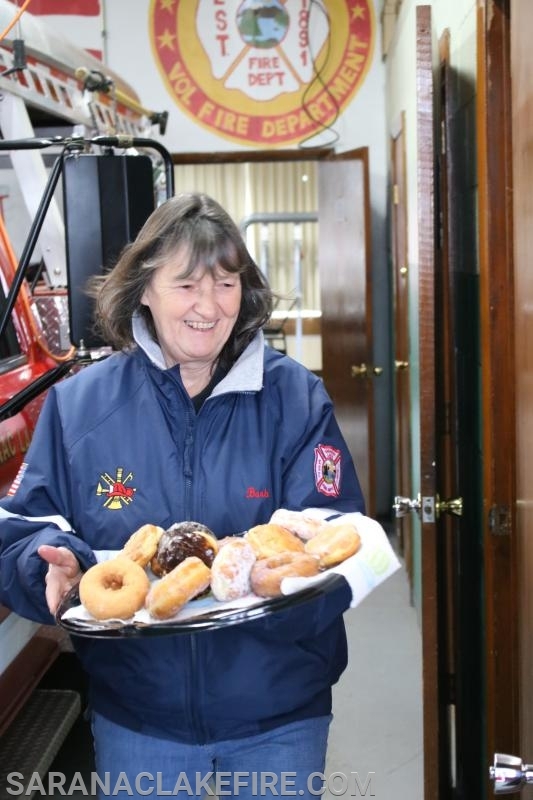 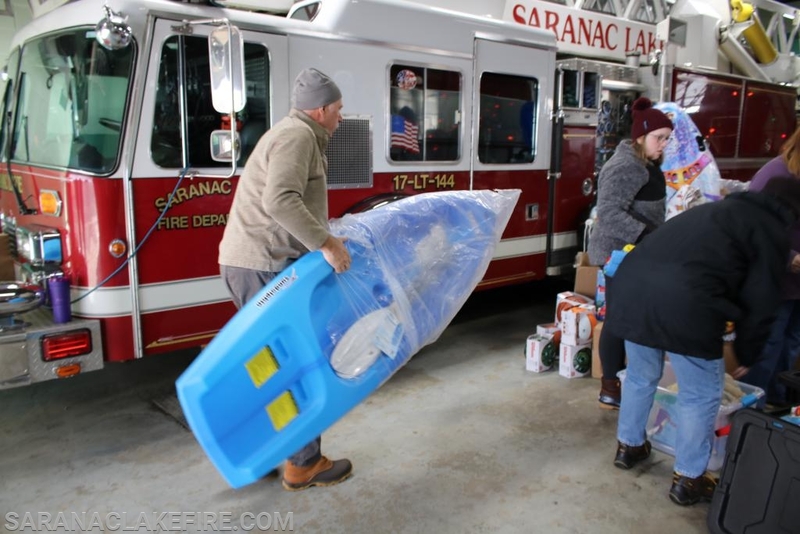 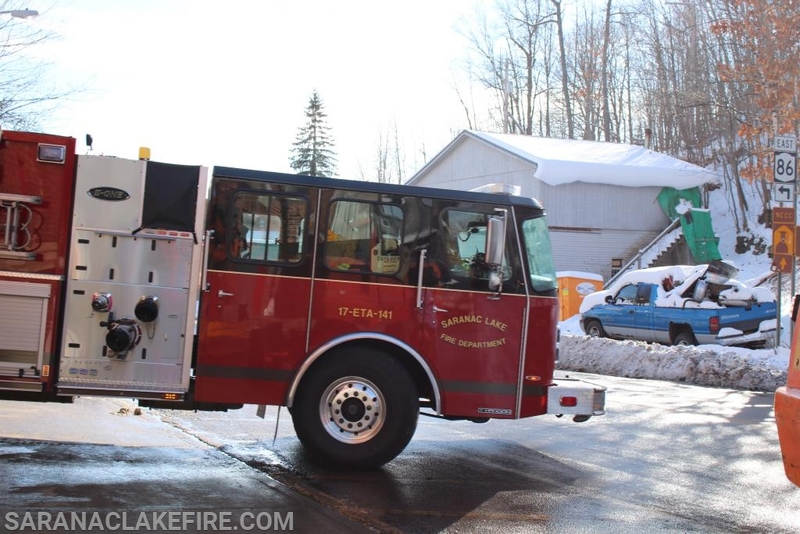 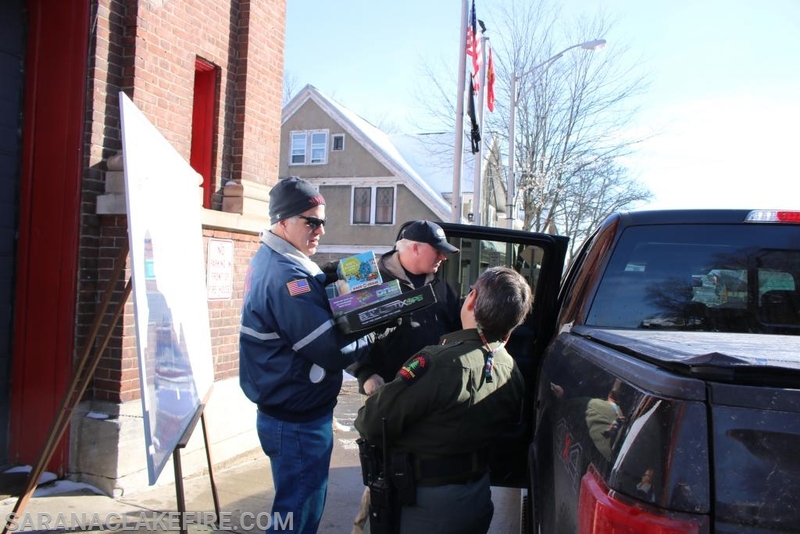 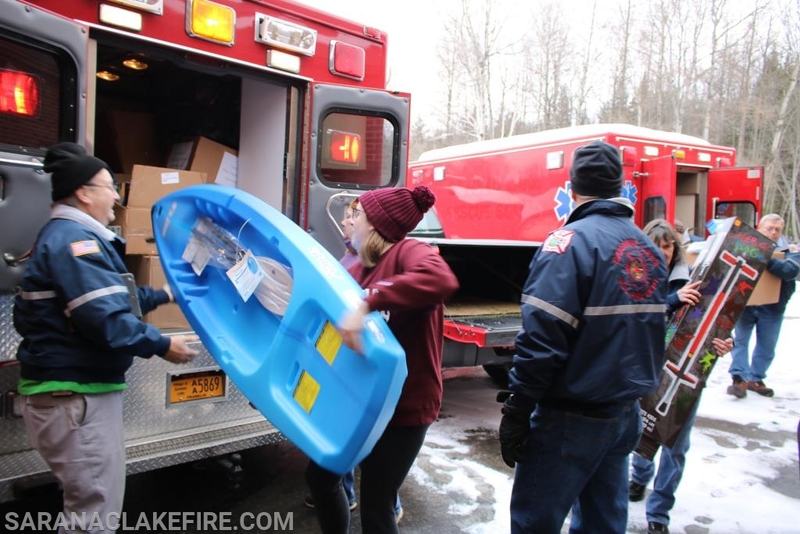 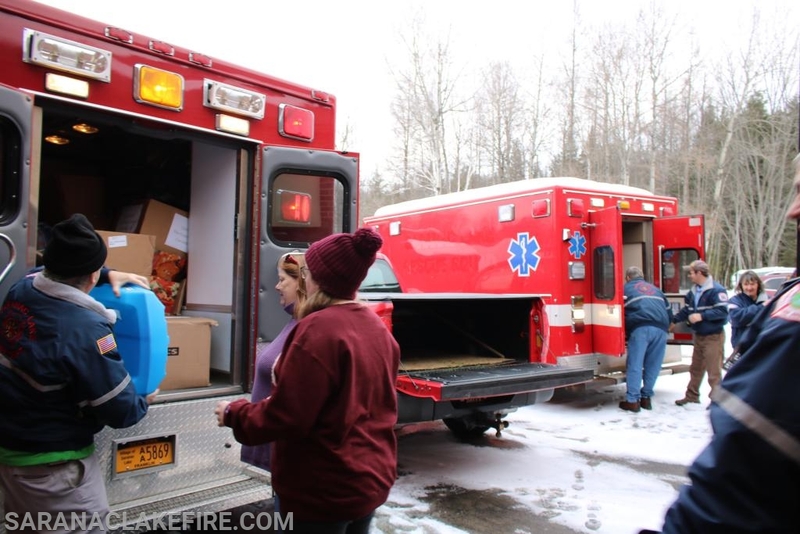 Other organizations contributing in big ways were the local postal employees, The Saranac Lake Volunteer Rescue Squad, and the "Shamrock". 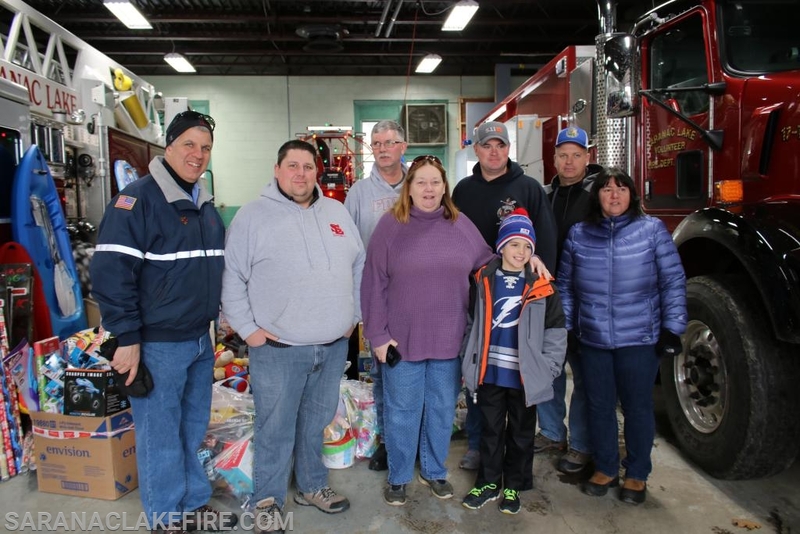 A very special thanks to everyone listed and everyone else not named in the article, lots of folks contributed and we apologize for any names we may have missed. 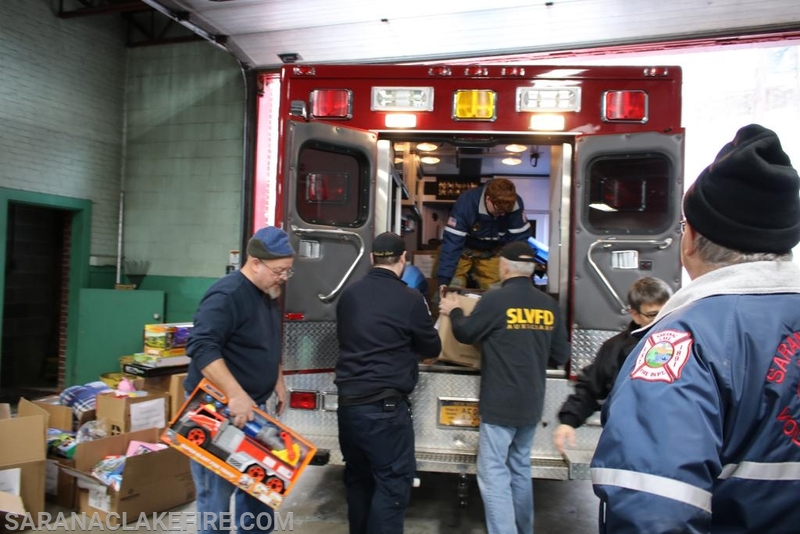 At the conclusion of the days Toy Drive SLVFD's Heavy Rescue Truck, and an SLVRS ambulance were stuffed full of presents that were delivered to the Holiday Helpers distribution center located this year at North Star Industries, where they will be sorted and distributed to the families in need. 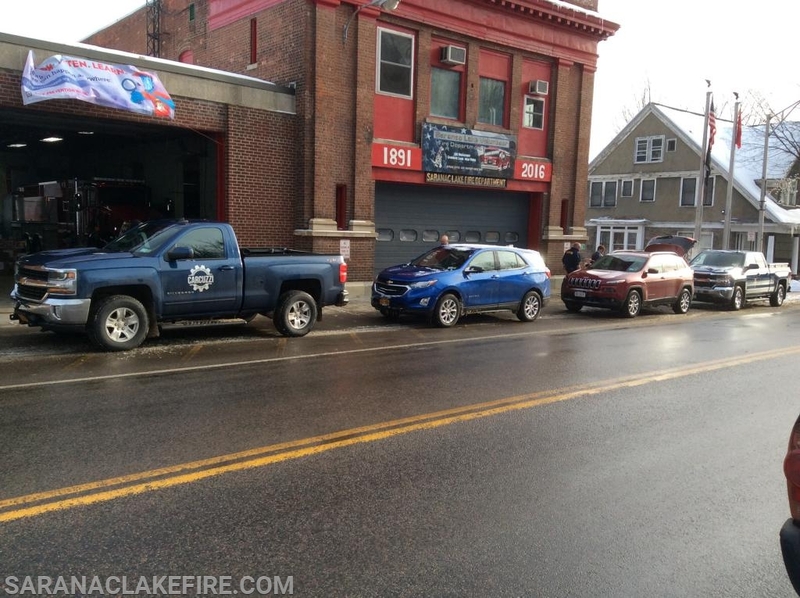 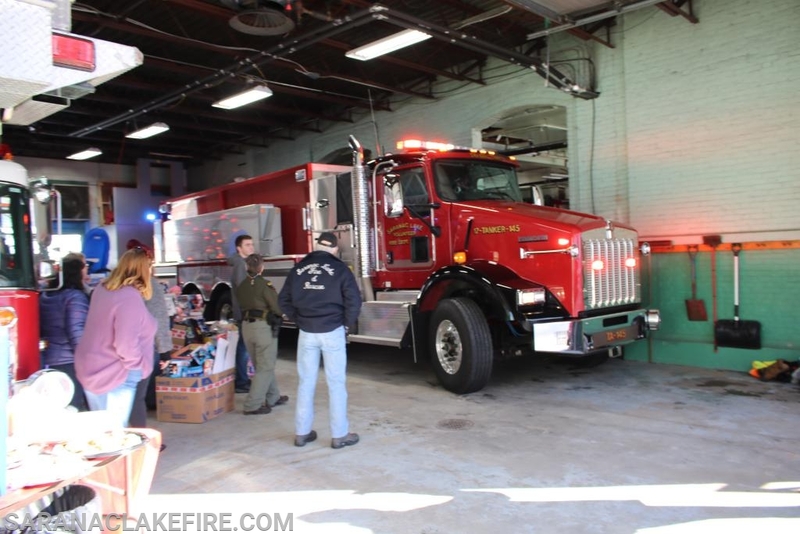 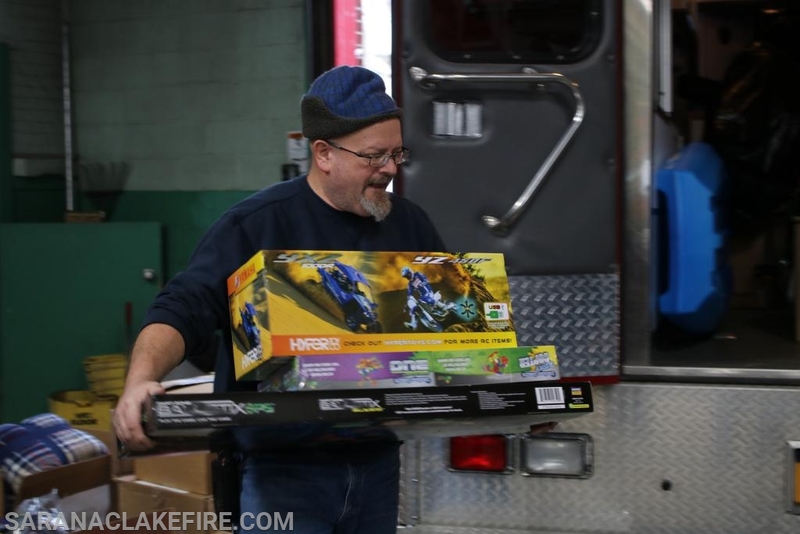 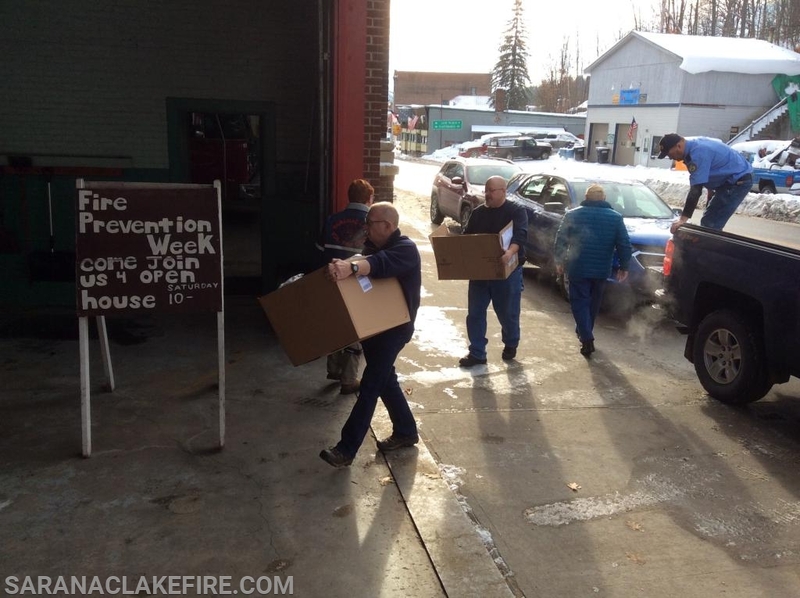 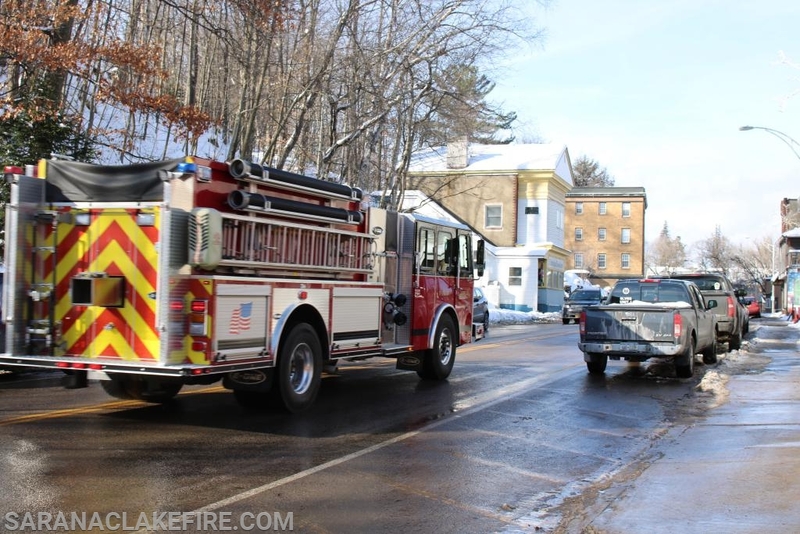 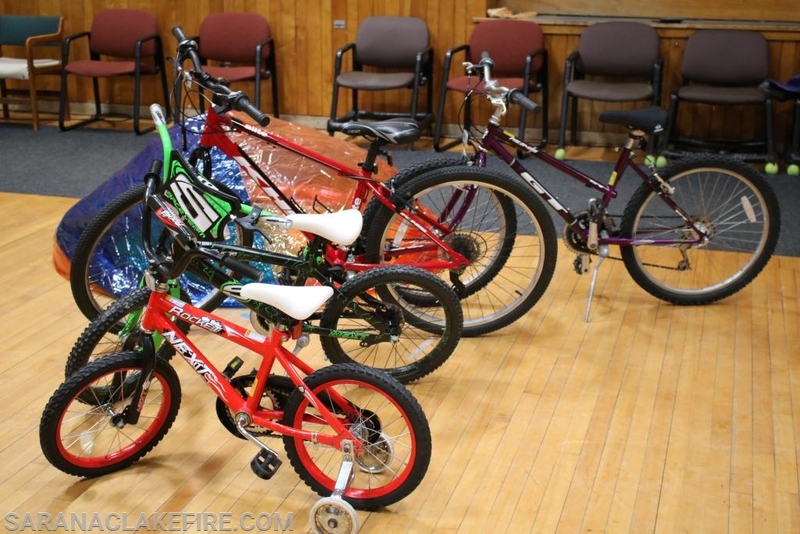 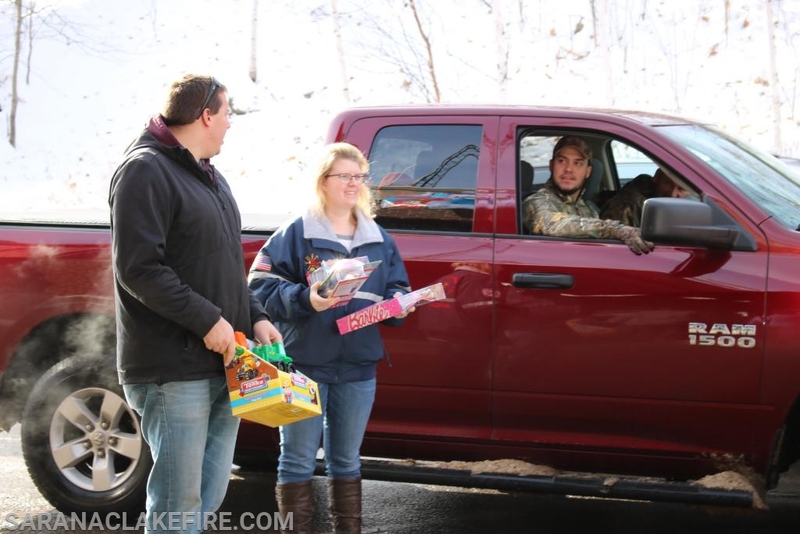 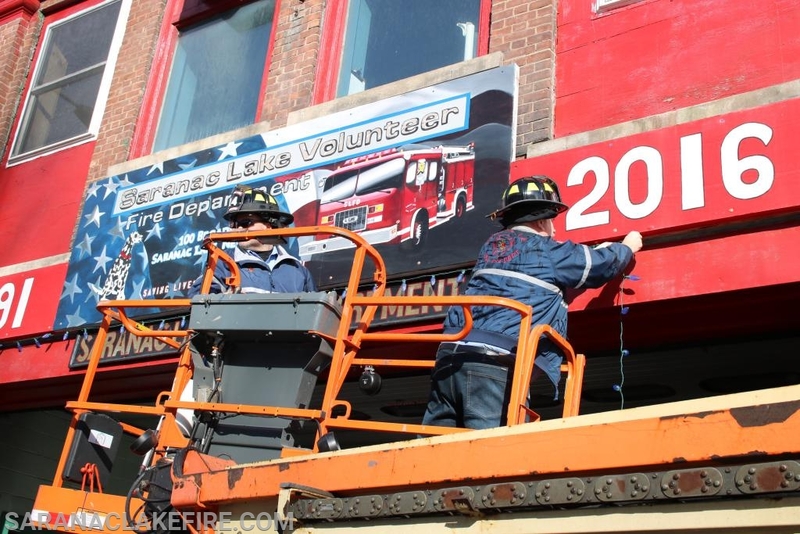 The toy drive happens in conjunction with the annual holiday decorating of the fire house. 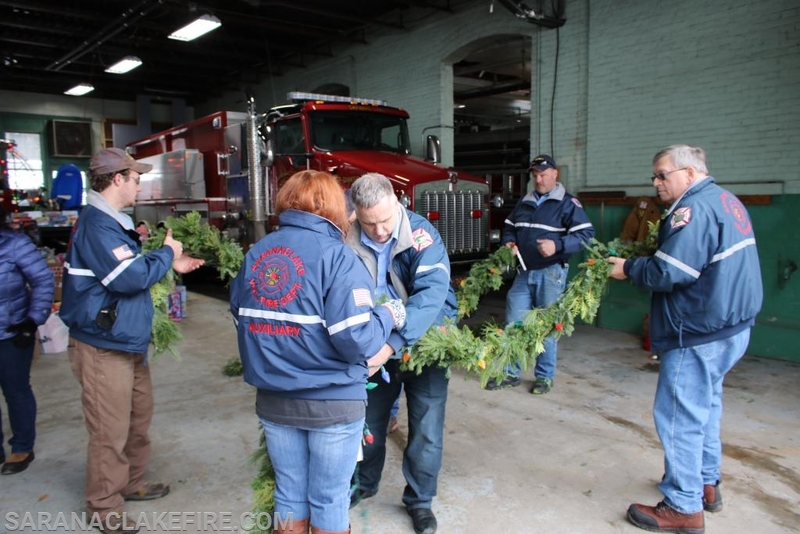 SLVFD members were on hand all day decorating and visiting with community members who stopped in. 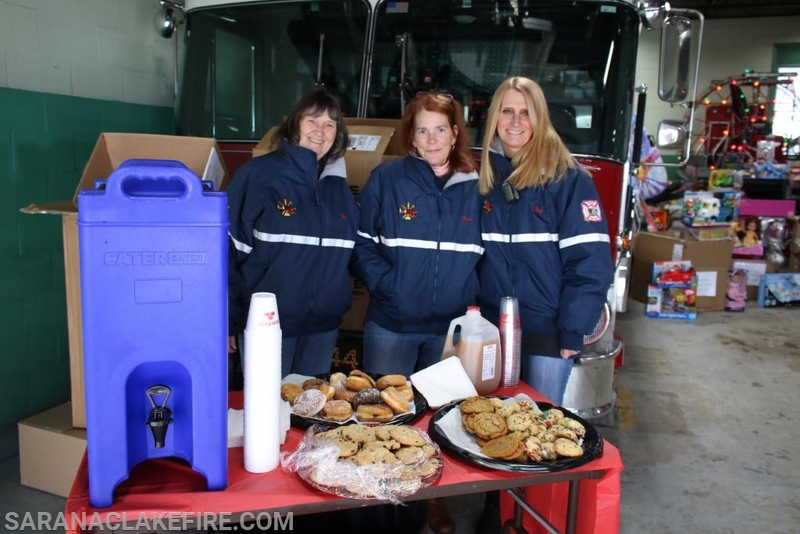 A very special thank you to our newly formed Auxiliary who were on hand providing snacks and refreshments and also stepped up to help with the decorating and the transportation of the presents to the distribution site. 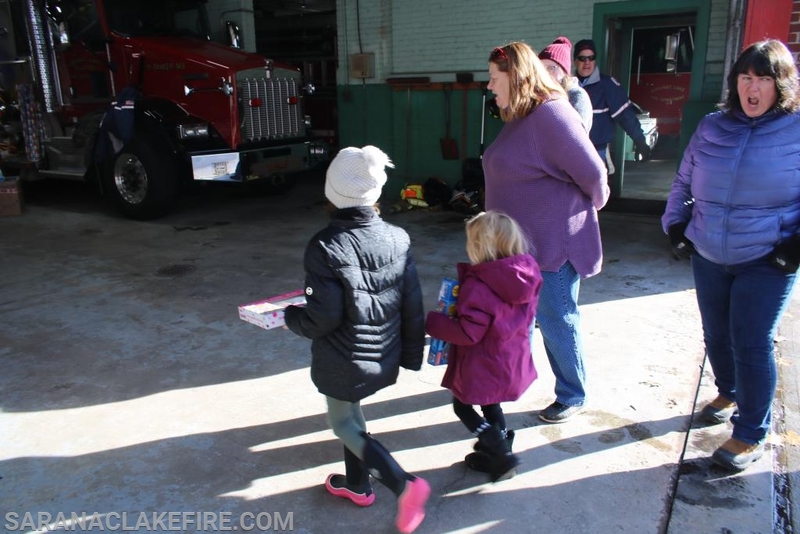 Early morning arrival of 4 vehicles loaded with toys collected and provided by the "Found Caravan Corvette Club"
Boxes of Toys being brought inside by members of the "Found Caravan Corvette Club"
Children making their own contributions. 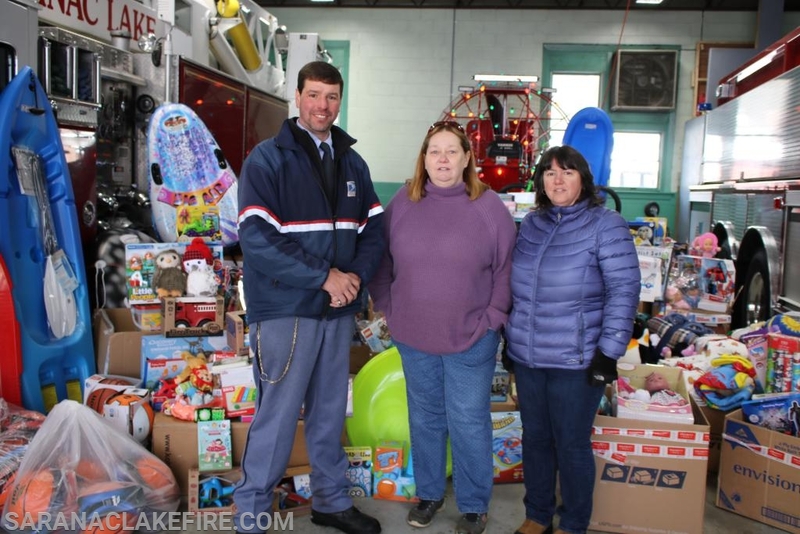 Patti Ploof and Dawn Rogers pose with local postal worker. 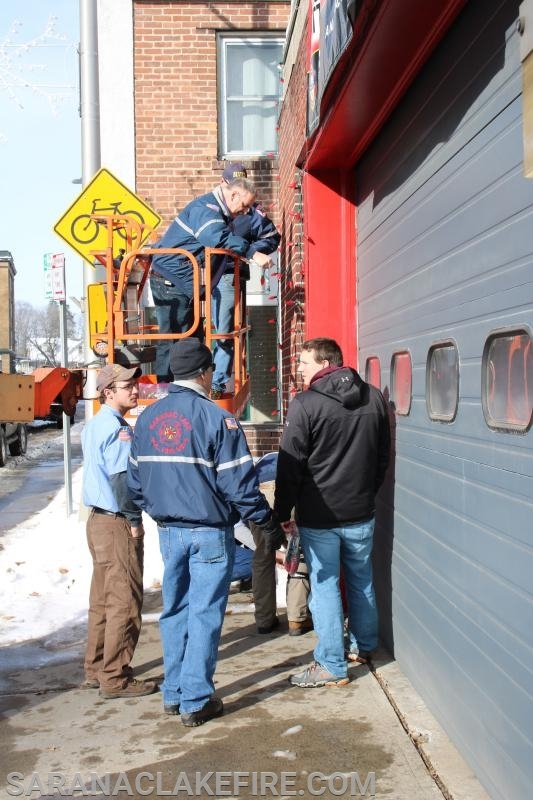 During the toy drive SLVFD members decorated the firehouse and visited with community members. 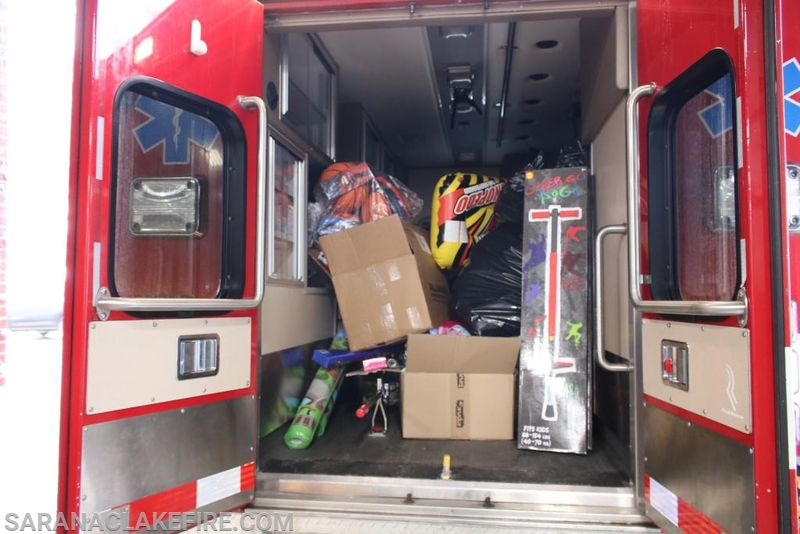 A truckload of Toys delivered from "The Shamrock"
Loading up the presents in SLVRS Ambulance and SLVFD Heavy Rescue for delivery.